Made from 100% polyester with 6 ounce fill, it offers both a stylish and comfortable fit ! This is a great item for layering. 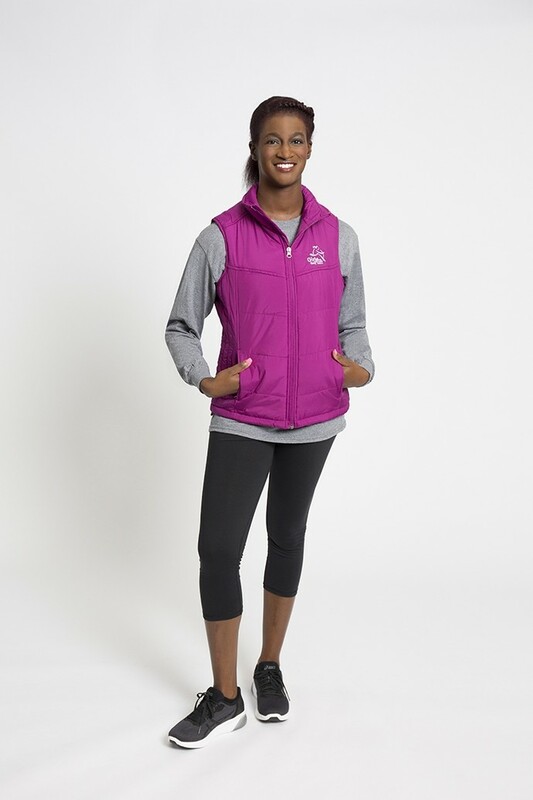 Gently contoured silhouette, front and interior pockets and a drawcord and toggles for adjustability. The model is 5'9" and is wearing a size Medium. 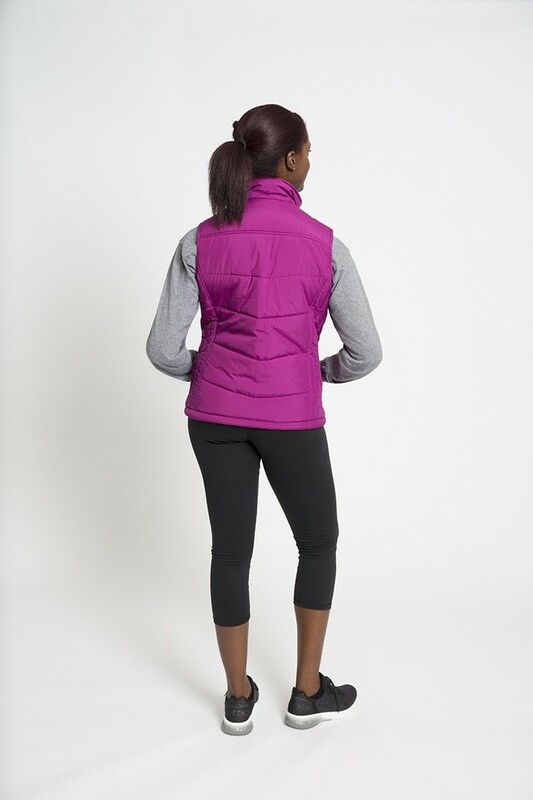 The base vest is Port Authority and has a slim/feminine fit.